Let my people go… ape? The “Planet of the Apes” films have always been about surprises. With a title that sounded like Samuel Z. Arkoff-level schlock, the first “Apes” picture from 1968 threw audiences for a curve as a richer-than-expected parable on racial prejudice. Then, that shocking moment — shirtless Charlton Heston realizing it was Earth all along, and cursing his own species. “Damn you all to hell!” the one-time Moses shouted in the surf, one of the greatest “aha!” moments in cinema. Now, four sequels, a few TV series, some cartoons, untold comic books, a film reboot, a second film reboot and two sequels later, this new series wraps up with a different Moses in mind — in a very literal way. The new “Apes,” starting with the clever “Rise of the Planet of the Apes” (2011) and the quite enthralling “Dawn of the Plane of the Apes” (2014) has made a monkey out of us, the Jewish People. This isn’t a pejorative, though. 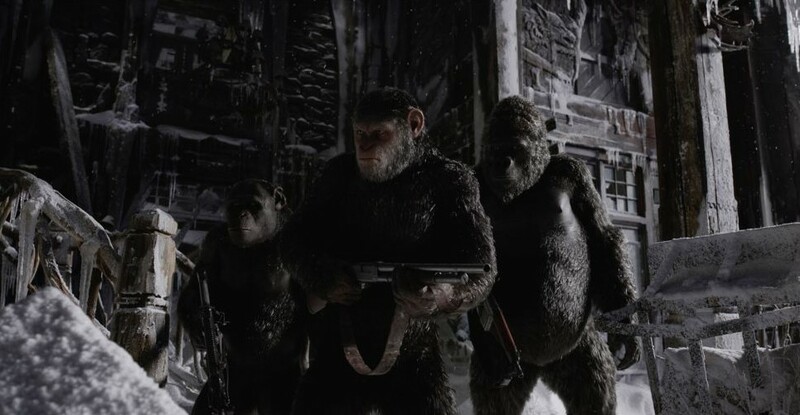 There’s always been nuance in these stories, but in this latest iteration the apes are unequivocally the good guys, particularly the ones following the chimpanzee named (ironically enough) Caesar. But as the apes (and the story) have evolved, this newest chapter codes our persecuted recurring characters as Jews. This isn’t just me seeing Semitic simians where none exist, it is very much in the text. To read the rest of Jordan Hoffman’s review click here.